What sort of business opportunities? Well, once their system is trained on actual faces thanks to tags from its own users, Microsoft or Facebook could sell Haar classifiers to other companies for ad targeting (think X-box ads for acne cream) or the government for surveillance (think a “Total Information Awareness” database of every person ever caught on a security camera). Of course, as new media artist and innovator Mark Daggett pointed out to me, this face-harvesting could have productive applications, such as an iPhone app that scans a crowd and displays each person’s Facebook profile above their heads. Then again, it could have detrimental applications, such as an iPhone app that scans a crowd and displays each person’s Facebook profile above their heads. Coming to Facebook two months ago from Divvyshot (a tiny little photo startup) I was amazed at how much people are using Facebook Photos. Ninety-nine percent of people using Facebook have uploaded at least one photo. More than 100 million photos are uploaded every day. That’s insane…. With this new feature, tagging is faster since you don’t need to select a face. It’s already selected for you, just like those rectangles you see around your friends’ faces when you take a photo with a modern digital camera. All that’s left for you to do is type a name and hit enter. Cool, huh? Microsoft has issued a statement saying that it isn’t using Kinect to collect information about users so that it can personalize advertising content. This comes after Dennis Durkin, who is the COO and CFO of Microsoft’s Interactive Entertainment Business, suggested that that was exactly what the Kinect hardware could be used for. 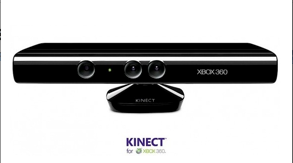 Speaking at an investors’ conference in New York City, Durkin suggested that Kinect could tailor the content displayed on the Xbox 360 depending on who it could see and how many people were in the room, and adding, “When you add this sort of device to a living room, there’s a bunch of business opportunities that come with that.” Naturally, this prompted a number of questions about privacy and a lot of speculation about just how much information Kinect was sending back to advertisers, leading Microsoft to flatly deny that it’s using Kinect to collect any marketing data at all. Not to be outdone, hackers wire a Kinect into a remote-controlled helicopter to make their own eye-in-the-sky.